Jay has been hot on the heels of some great winter fish. 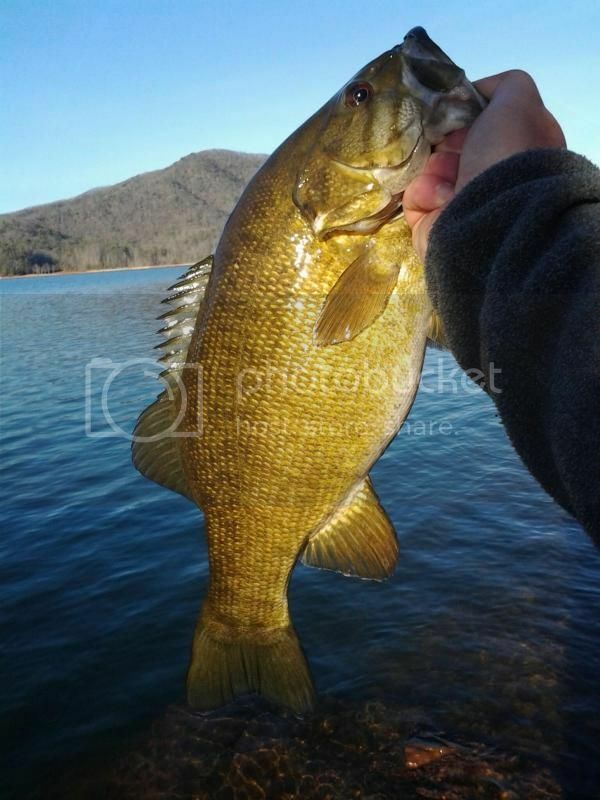 He's put in the time, and he's calling up some incredible bass out of clear cold water on the mountain lakes, and learning some new strategies from the bank. Walleye started showing up, and he got that crazy look in his eye. 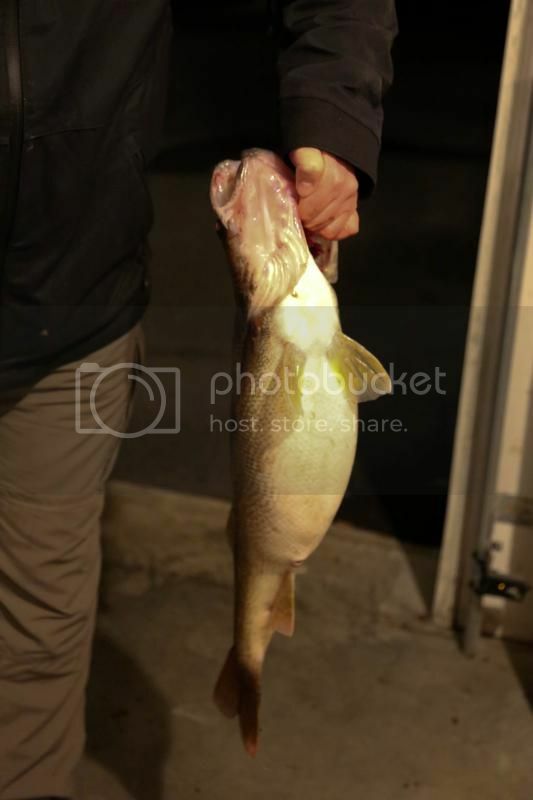 I got a call last night, as he headed to my house at 11:00 PM to help him photograph his new personal best beast of a walleye he caught prowling the bank after sunset. 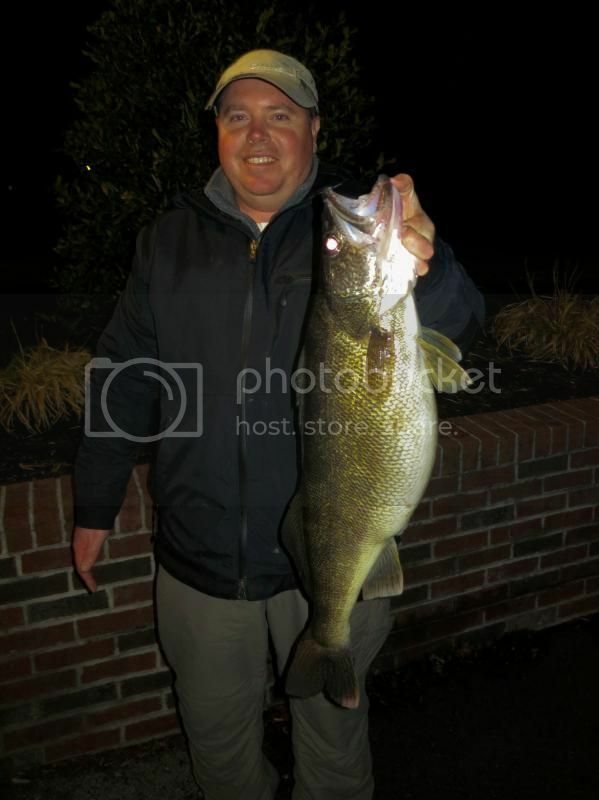 Here's the beast he caught last night. 27"x 18" A heafty 11.5 lbs. Best part is, he never even got his boots wet catching them. Good looking fish, Wally going in stomach or the wall? Solid fish! Hey, has Jay figured out those big, yeller spotted forked-tail beasts up there? They ought to be shallow this time of year, too, yes? 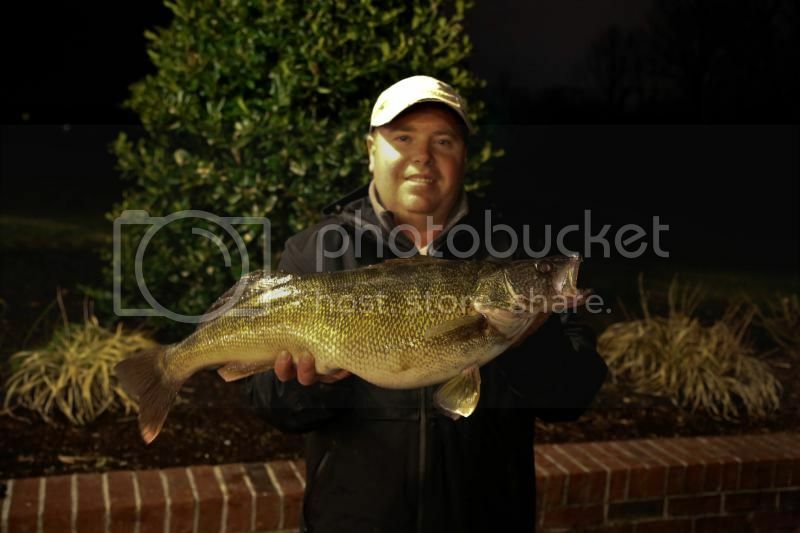 I need one for a photo, and catching one is way more fun than getting one from the hatchery guys at DH. Sorry I missed ya, Grumpy and Dave. That fine walleye will make some incredible fillets--blackened and fried, and at the end of the season, we save the Cheeks, and sauté them in white wine/butter and herbs and taste amazingly similar to scallops. Dave, Jay says a few of the bank goers occaisionally finds a Lake trout cruising the shallows...just not very often, but still possible. It's like a northern ecosystem out there with the northern fish. We're doing some recon, where an occasional rare monster Esox shows up amongst the walleyes to eat and breed as well.